As I may have mentioned before, I love to read. I work at a bookstore, and my discount is very often applied towards books for myself that I am eager to dive into. 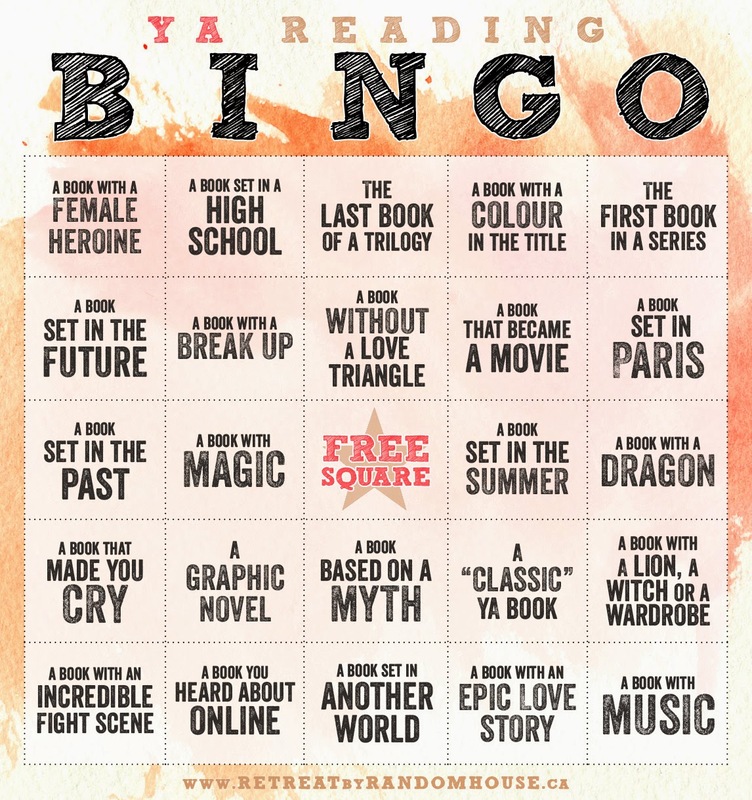 Even though I'm not a teenager anymore, one of my favorite genres is still Young Adult fiction, and I wear this badge proudly :) I'm young at heart after all, and nobody should be ashamed of the things they like to read! 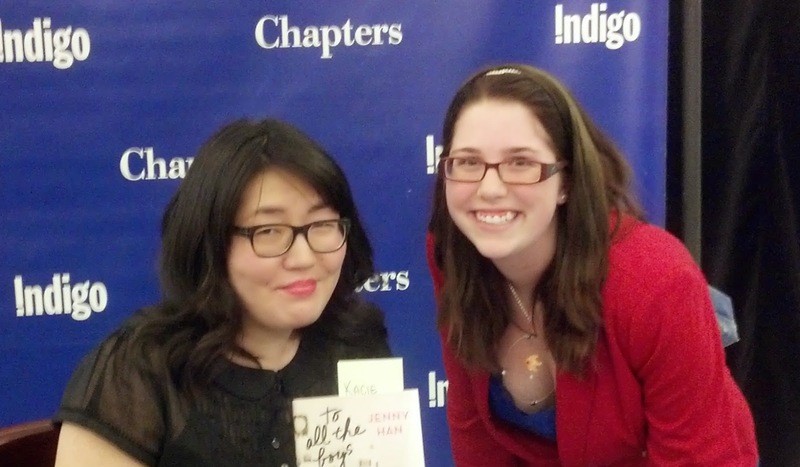 Jenny Han is a YA author. She's the author of the Summer series - consisting of The Summer I Turned Pretty, It's Not Summer Without You, and We'll Always Have Summer - as well as the co-author of the Burn for Burn series along with Sibohan Vivian - Burn for Burn and Fire with Fire are out now, Ashes to Ashes will be released in September. I've read both of these series, although I only have the audio books for the Burn for Burn series (which are extremely good by the way, for anybody who likes audio books as much as I do). 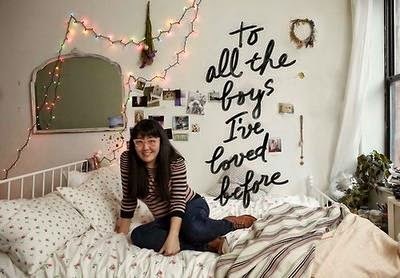 Recently she just published another book, To All The Boys I've Loved Before, and I finished it Tuesday night. I was in a slight hurry to have it read because . . . 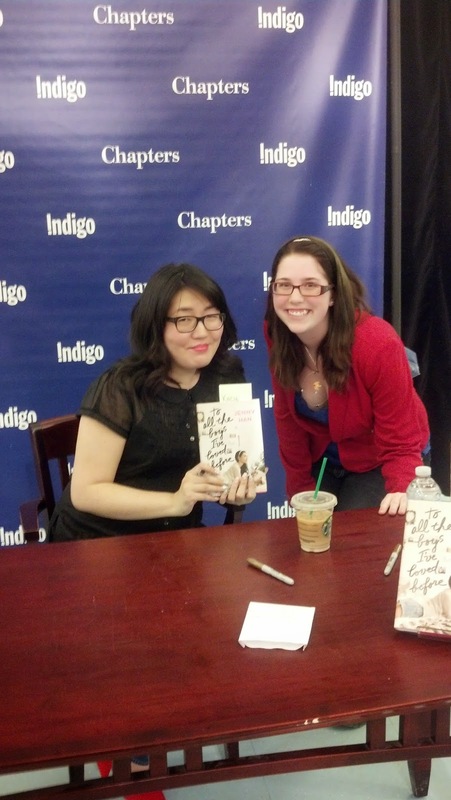 I was planning on meeting her the next day! And I DID! All in all it was a very enjoyable evening! I got to meet a very talented author, I learned a bit about her writing process during the Q&A, and I now have a signed keepsake which is sitting safely in a glass cabinet downstairs along with other signed books in my possession. 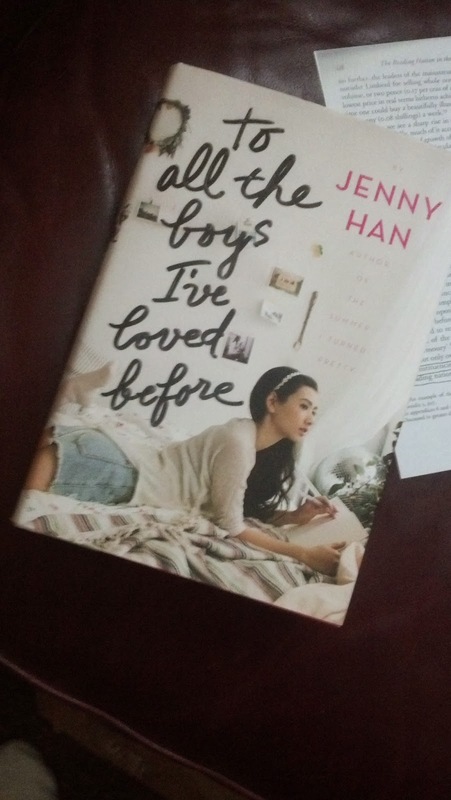 I'm very glad that I got to go, and I definitely enjoyed reading Jenny Han's new book. 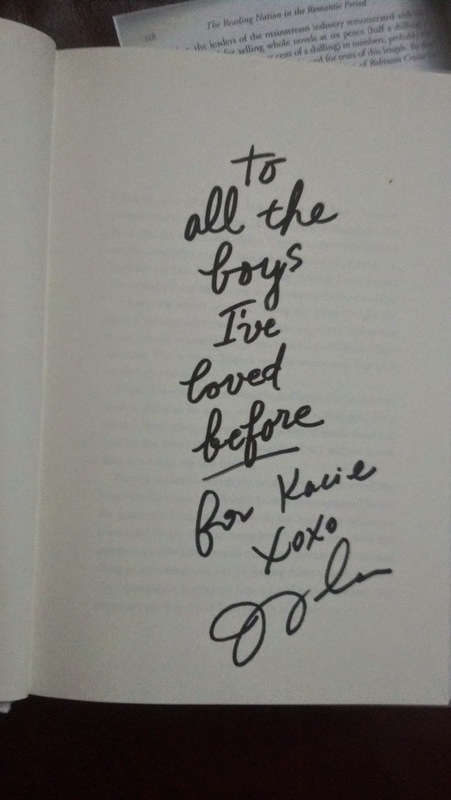 I also learned that she is currently writing the sequel, which will be titled P.S. I Still Love You, so make sure to look out for that in the future!